Chad says hi, gives background, invites hellos! If you’ve been to the brewery in the last two and a half years — especially during the week — there’s a good chance you’ve seen me in the brewhouse carrying bags of grain, stirring boiling pots of wort with a wooden paddle, or playing air guitar while waiting for the beer to do its thing. I’ve talked to a number of guests, but figured it is about time I make a proper introduction to the rest. My name is Chad; nice to meet you! I came to Newaygo Brewing Co. in August of 2016 after Nick and Krista saved me from a desk job. Nick and I were friends in college and reconnected a couple years before I was hired on after my wife and I rented a house a block over from the house he owned in Grand Rapids. 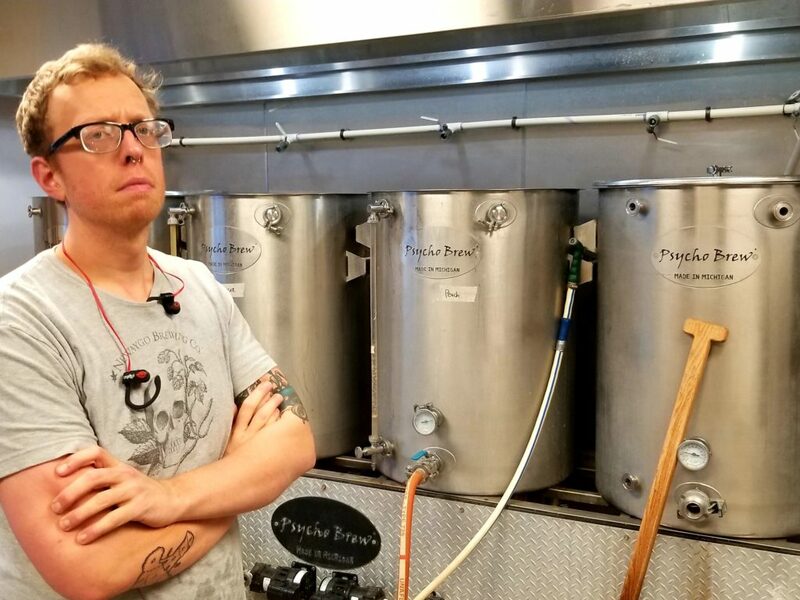 When they found themselves in need of a brewer, they took a risk and hired me, an English major who had worked at a desk since graduating college and had next-to-no experience when it comes to brewing beer. I like to think that they made the right choice, and I hope that you would agree. My wife Holly and I reside in Rockford with our brood of pets (two dogs, a cat, and a rabbit). When I am not brewing, you can likely find me at a different local brewery, reading about yeast or water chemistry, taking our pups on walks, watching Netflix, or spending time outside hiking, camping, or playing disc golf. Holly works as a Board Certified Behavior Analyst, psychologist, and is a residential supervisor at Hope Network Neuro Rehabilitation — basically, I definitely married up! While I didn’t have much knowledge about the actual brewing process until getting hired on at Newaygo Brewing Co., I have been a lover and evangelist of craft beer my entire drinking life. I was fortunate to have friends with good taste when I turned 21 and was introduced to craft beer straight away, so I have appreciated good beer since day one. The first beers I recall drinking are Bell’s Oberon and Sierra Nevada Pale Ale, and I have not looked back since then. Since joining the Newaygo Brewing community, my love and appreciation for beer has only continued to grow as I have gained knowledge and experience. The history of beer, the vast variety, and the way you can manipulate the simple ingredients to make different flavors is extremely exciting and satisfying. 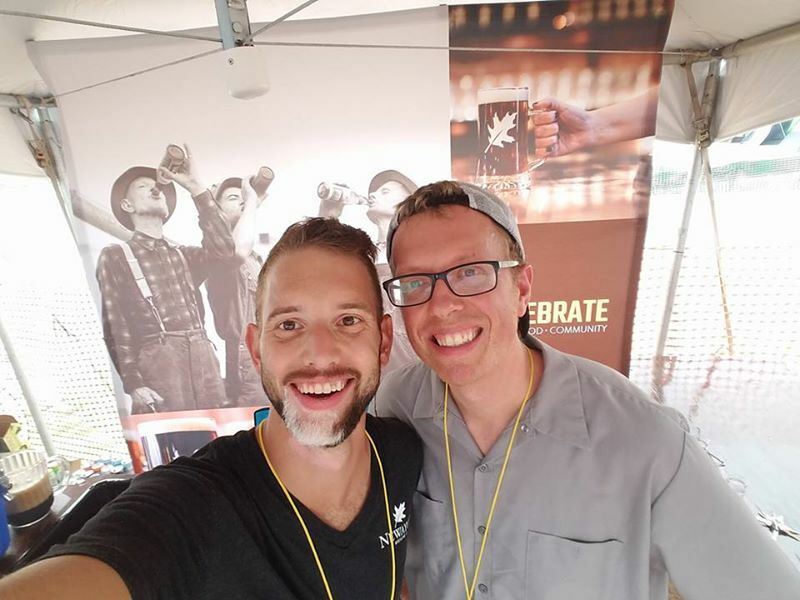 I have worked in a variety of different industries, but none is as passionate and filled with true excitement and camaraderie between “competitors” as the craft beer industry in West Michigan. I am beyond excited to be working at Newaygo Brewing Co. and to be a part of the Newaygo community. If you see me, never hesitate to say “hi,” or give me constructive feedback about the beer you’re drinking. I am always looking for ways to improve and you all are the ones I am doing it for! Cheers, friends.